Mar - 24 | By: Oregon Film | no comments. 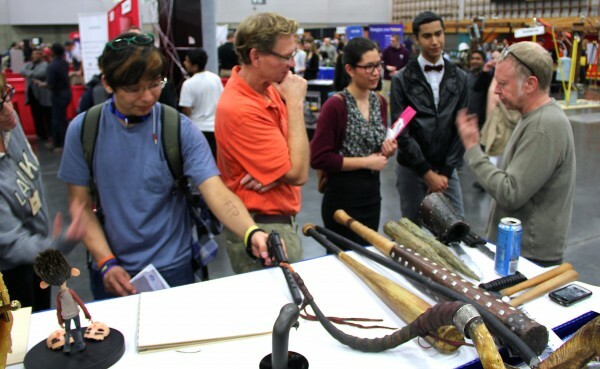 Last week saw a strong turnout for the Annual Portland Workforce Alliance NW Youth Careers Expo. 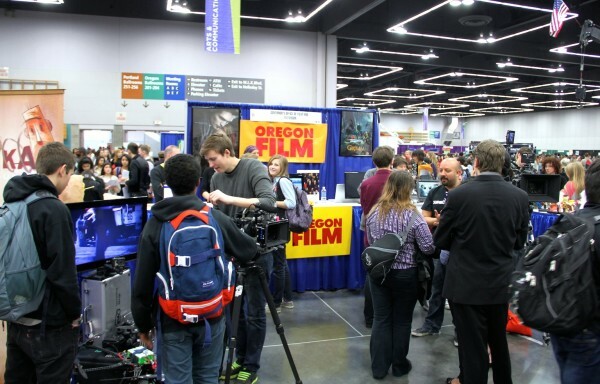 Oregon Film asked members of the production community to join us in showcasing an array of production job opportunities that are here in Oregon. 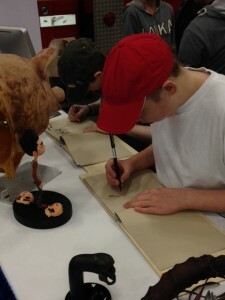 With a staggering 5,000 students attending, it was a productive day showing future job possibilities in a hands-on way. We thank Tim Oakley (Oakley Design Studios), who had some amazing hand-made props on display, LAIKA House, who brought sketch books for the students as well as a ParaNorman puppet with various “faces” to illustrate how stop-motion works; Koerner Camera had their RED camera running; Bent Image Lab had an array of their amazing puppets to examine; video game developer SuperGenius was on hand showing students the possibilities of working in the exiting gaming world; Loren Haleston talked through his remote controlled cameras for his high quality automotive video media business. We also were lucky to have Shelly Midthun there from the City of Portland Film Office and Sara Burton from Girl Scout Locations who handled many general questions on what it is like to work in production. Many of the students had no idea there was such an array of job possibilities right here in Oregon, most of them thought they they would have to work in Hollywood to do this kind of work. It was gratifying to see many students light up at the possibilities! 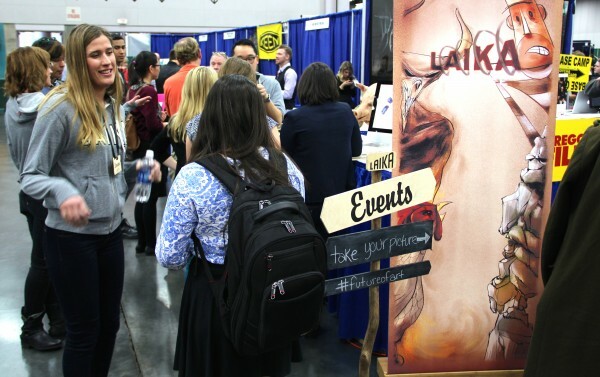 The NW Career Expo is one of the “premiere business – education partnerships in the Pacific Northwest” and we were happy to be a part of it. We look forward to welcoming this new generation of production workers in film and media jobs in a few years time! 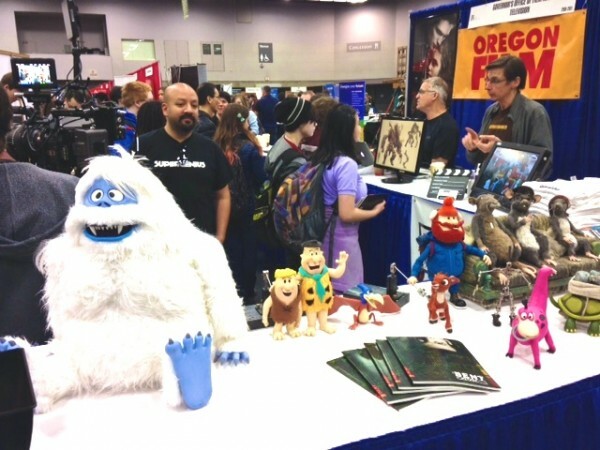 Bent Image Lab’s Bumble and their “Portlandia” rats puppets amongst others!